I spent last week leading my annual “Bears of Yellowstone” spring tour last week. We had a wide range of weather (as usual) from rain, snow, sleet to warm and sunny conditions. The group had wide interests and we spent less time searching for bears than during previous years. Still we had good success and our bear sightings per day ranging from 5 to 8 and a good percentage of the sightings provided the group with some great photographic opportunities. This beautiful sow grizzly was showing up regularly north of Norris Junction near Roaring Mountain. 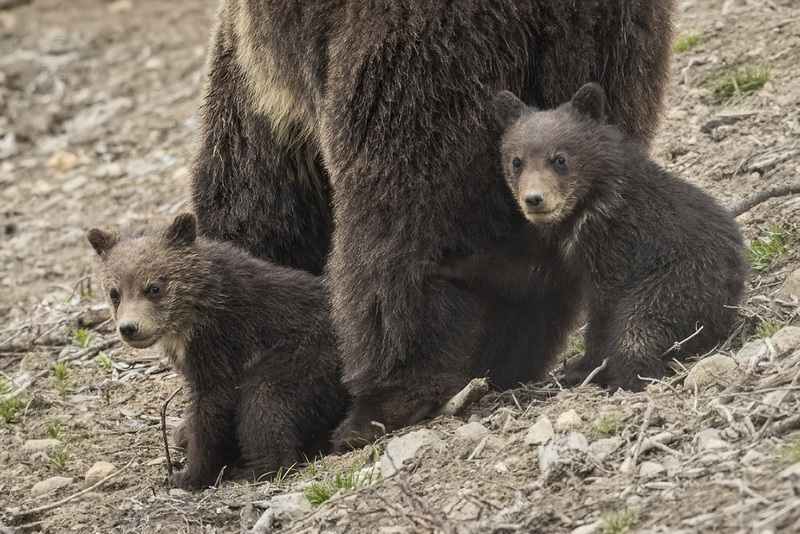 She was a collared bear with 3 cubs of the year. Later in the the week we saw her again and she was down to 2 cubs. 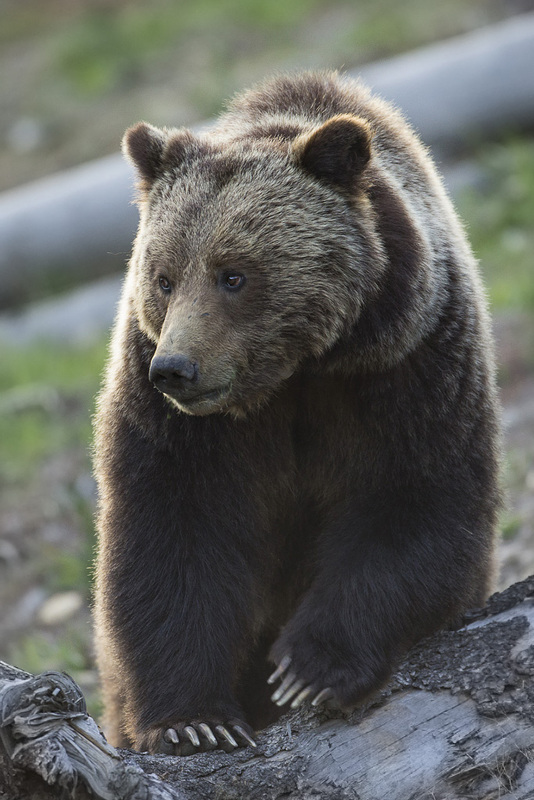 We heard that she encountered a male grizzly that may have killed one of the cubs. 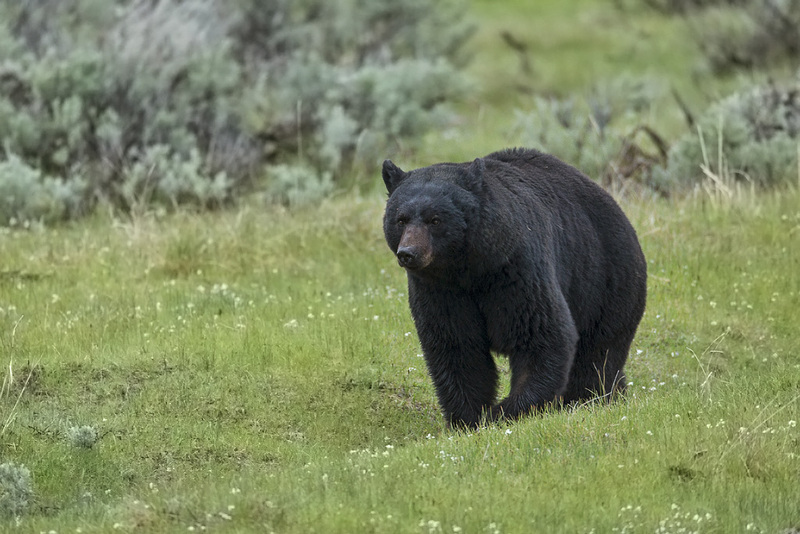 This is an unfortunate event but fairly common in the bear world. This bear was feeding along the roadside and we were photographing from the safety of our van. Light was quite low at the time of the photograph above but the excellent high ISO capabilities of my Canon Eos 1DX allowed me to capture the image. I was handholding my EF 500mm F4 IS with a shutter speed of 1/320 using ISO 1600. This section of the park has a newly reconstructed and widened roadway which was very much needed but has some unfortunate side effects associated with it. Traffic was just flying along on the new highway. 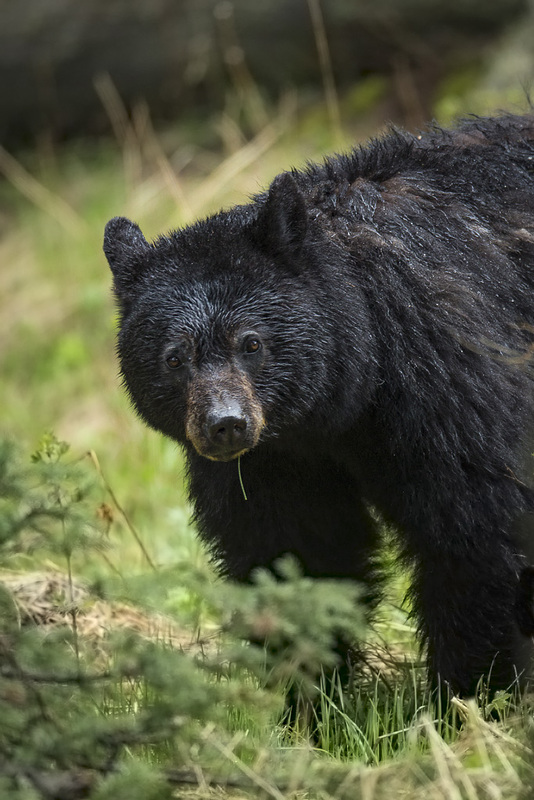 I fear for the safety of the wildlife in that area especially for the sow grizzly and her cubs. 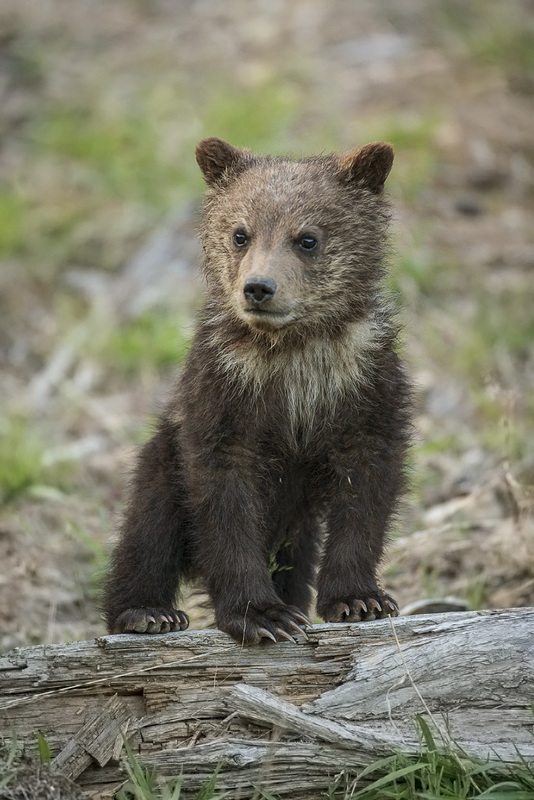 Is there anything cuter than a tiny grizzly cub in it’s first spring? 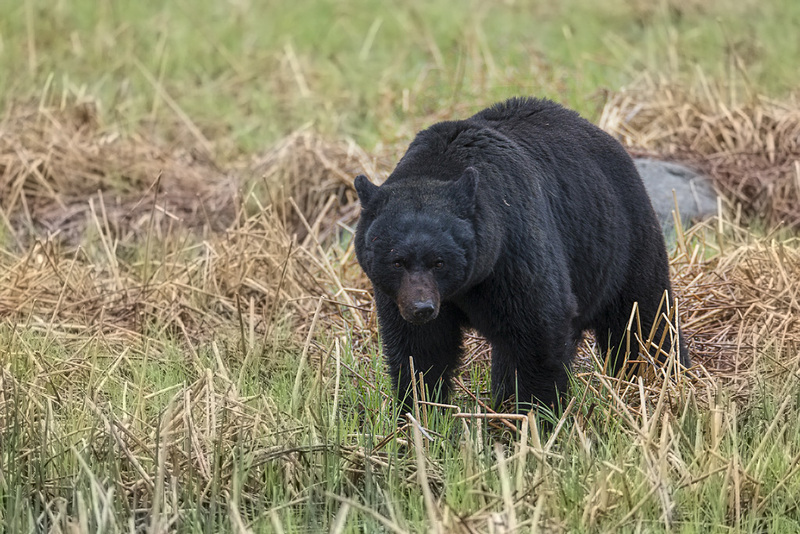 We saw numerous black bears during the tour. This large male was feeding on a bison carcass in the Little America section of the park. Rangers speculated that the cow bison was killed by a car. Drivers are just going way to fast in the park where the speed limit is 45 mph. At night it really should be lowered. Wolves from the Junction Butte Pack and another black bear along with several coyotes were all feeding on this carcass. Nothing goes to waste in Yellowstone. We witnessed a coyote chasing off a wolf near this bison carcass. This is surprising since it’s usually the other way around. Wolves will kill a coyote whenever they can. Others who witnessed the event just figured the coyote was guarding the bison carcass but I fairly sure the coyotes had a den with pups in the vicinity and were protecting the den. I’ve seen this behavior before. I’ve never seen a coyote win a battle over a food source against a wolf. 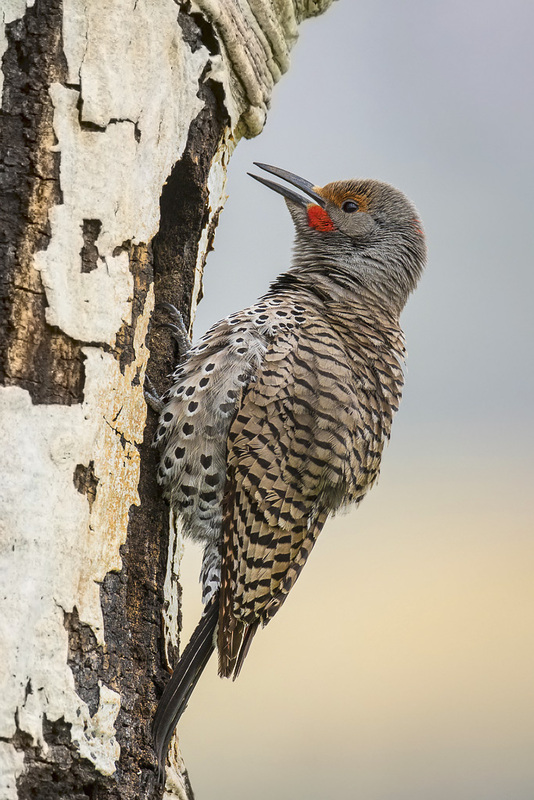 We were also able to spend some time photographing nesting flickers and kestrels. I could tell that the birds were sitting on eggs since they were not feeding young. The adults were sharing incubation duty. Keeping our distance, so not to disturb the birds. I used my Canon 7Dmk2 with its crop factor along with my EF 800mm F5.6L lens giving me an effective focal length of 1280mm to achieve this frame filling image. 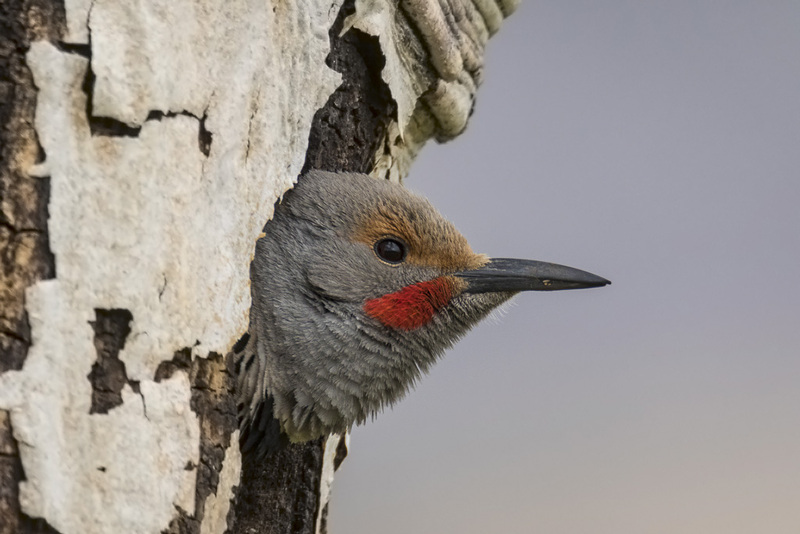 I wanted a frame filling image of the male peeking out of the nest cavity and since I wouldn’t approach the nest any closer I put the 2X teleconverter on my previously mentioned lens giving me and amazing effective focal length of 2560mm. My exposure here at ISO 800 was 1/500 @ F11. Sharpness was excellent with this combination. 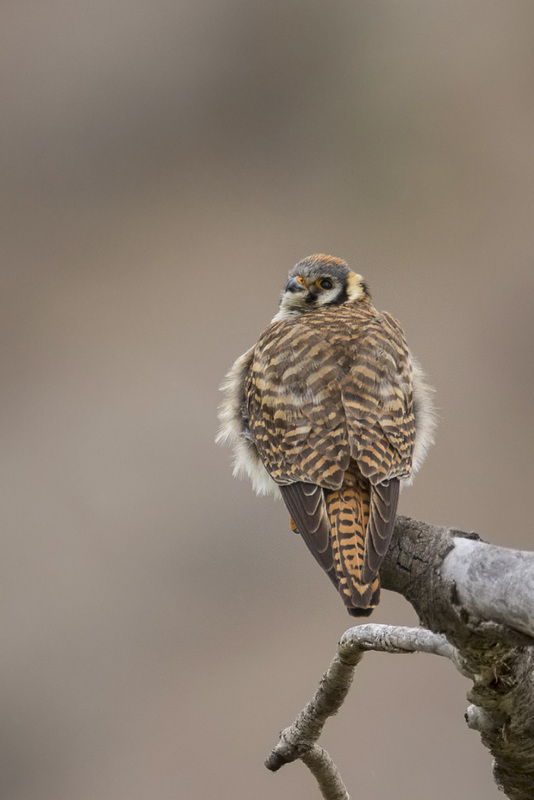 This beautiful kestrel (smallest member of the falcon family) was perched in the tree adjacent to the cavity they were nesting in. If you’d like to join my 2017 “Bears of Yellowstone” tour please go HERE for more information and to register.